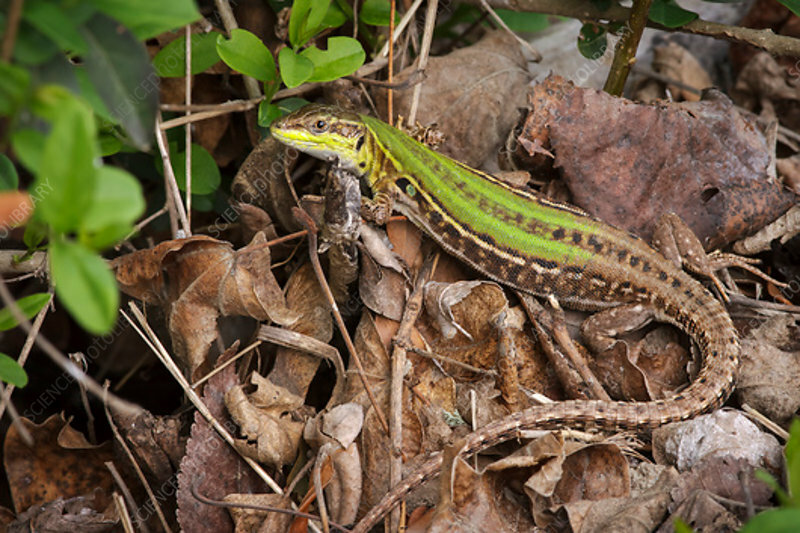 A female italian wall lizard (Podarcis sicula) basking amongst the leaf litter in spring. This lizard is primarily found Italy as well as a number of other southern European countries. It reaches lengths of around 20 centimetres, and feeds primarily on insects. Photographed in Tuscany, Italy, in April.